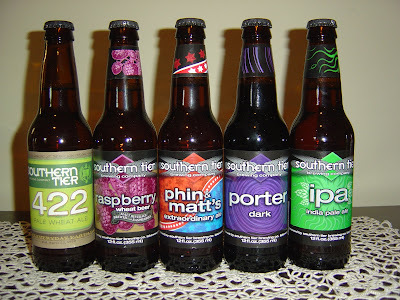 This week Southern Tier Brewing beers started to arrive in South Florida. We've been expecting them for a few months, but as the Mandelbaums say in that Seinfeld episode, "It's Go Time!" My buds from around the area (well, Palm Beach County-ish, so not really) have been talking about these arriving since Wednesday, so I checked in that day with my Pembroke Pines Total Wine Store. If you're from Canada for the winter or if you drive like you are, here is a picture of the store. Please try to speed up a little and use your signals! It's amazing you made it here alive! 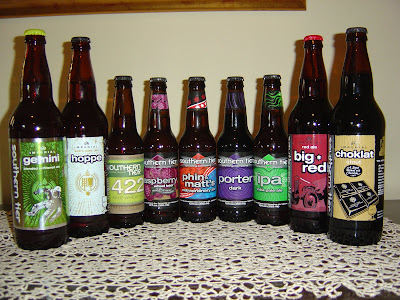 You'll need to get there fast anyway for a few of these beers I've been told from the inside. But as of 5 PM, none were even on the shelves. When I called on Wednesday, Esmeralda (not her real name) gave me an item-by-item breakdown of what they were expecting, and also letting me know Friday afternoon was the projected delivery. Was awesome! And it was awesomer that she asked if I'd like her to set some aside for me, before I even asked. Of course I said yes. Name and number and two days later, Assistant Manager Brian (you've met him in a coupon clash before) was calling me around noon to confirm my order. Late afternoon, no trace of Southern Tier beers anywhere, except in my liquor box full of the nine Brian set aside for me. He's awesome! Oh, and we're buds anyway since the coupon day. 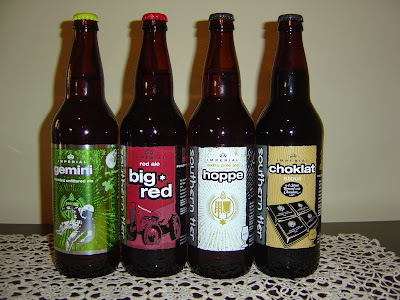 I also threw a new Rogue beer and a discounted Samuel Smith beer in the cart on the way out. The discount was "half off" the crossed out price of $4.49. First, that beer rang up with no discount, which was funny enough, but I decided to let them know that the $2.49 on their sign was also not "half off". I told Store Manager Ty Ball I'd be giving them a calculator for Christmas or sooner. Anyway, the sign came down and I still had to pay $2.49. Next time I'll take two shots at the sample table to make up for that quarter! Finally, my college math classes paid off! Tonight, despite all of the hoopla above about Southern Tier beers, a little sleight of hand. 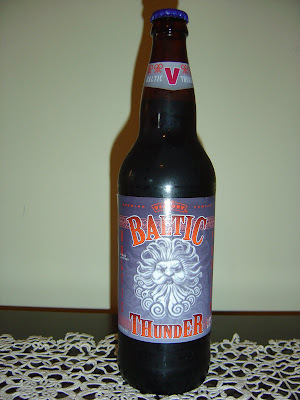 I'm drinking another I grabbed on the way out of Total Wine: Baltic Thunder, a Baltic Porter style beer brewed by Victory Brewing Company in Downingtown, Pennsylvania. On the label is the Baltic god of thunder, looking like a crazy man-lion-wind-blowing-cloud-type thing. Enjoy Big 22 by January 27, 2011. Check. Roasted coffee and chocolate aroma, sweet with even a hint of fruits. Dark chocolate flavors start things out with a nice deep flavor profile and a pleasant bitterness. Roasted coffee (with a hint of toffee after warming a little) takes over next. Some hops do show through after a second and thin out the initial motor oil body this beer had to start. Molasses, licorice, raisins. A little spicy and a little bit of the 8.5% alcohol show through on the back side, both providing a little burn, nice. Low to medium carbonation. Nice flavors left on the palate. This was a really nice beer. I'm not in love and for $10 I need to at least project a second date. But next time you're in the Philly area (or closer than Florida), I'm sure you will check it out! Those pictures are epic! Me and Phil are going to be having Choklat and Iniquity tomorrow. I also picked up Unearthly and Hoppe. Yeah, Mike. There were a few missing from the PP Store, but I still feel like a winner with these 9!